Dr Fiona Mensah is a Postdoctoral Fellow at the Murdoch Children's Research Institute and Royal Children’s Hospital. 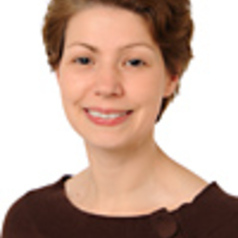 Her research interests are in child health inequalities; children’s development in the context of social disadvantage and family adversity; and the relationships with access to health and developmental services. Her work focuses on epidemiological studies of families and children’s development and health including the Longitudinal Studies of Australian Children, the Early Language in Victoria Study and the Maternal Health Study. She also supports clinical trials of early interventions to improve children’s health and development including right@home, a trial of intensive nurse home visiting for vulnerable families beginning in pregnancy. Her previous research has been based in the UK using the Millennium Cohort Study where she studied the relationships between the family environment, parenting behaviours and children’s health and development.